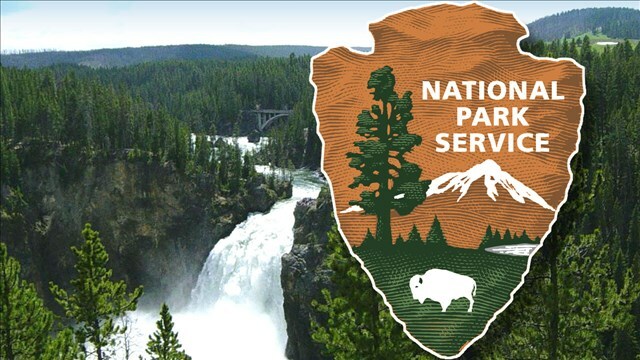 National Park Service Senior Pass Price Increase. Lifetime passes for seniors are skyrocketing later this month. 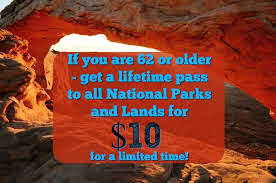 The best bargain in Federal lands, the $10 Lifetime National Parks Pass offered to seniors since 1994, will be headed the way of countless other park service amenities with a price hike later this month. America the Beautiful Senior Pass, which has offered anyone 62 years of age or older lifetime entrance to National Parks and other federal recreation sites for just $10, will jump up to the regular $80 price point beginning August 28. It will remain a lifetime pass. A new $10 senior annual pass will also be available. The price change follows Congressional legislation passed in 2016, in preparation for the NPS centennial, explicitly outlining the pricing change. According to the park service, the fee change will support park maintenance and other budget concerns. Last year the agency sold more than 662,000 Senior Passes. Seniors have until August 27 to purchase the pass while it remains at $10, at any national park or federal recreation site. So, this is a courtesy heads-up if you're age is 62-plus. The pass can be purchased locally at the BLM office in Barstow on Barstow Road across from the college. A pictured ID with proof of age is required. The Senior Pass is a lifetime pass available to United States citizens or permanent residents 62 years of age or older. The Pass can be used at over 2000 Federal recreation sites across the nation, including National Parks, National Wildlife Refuges, and many National Forest lands. The Senior Pass admits the Pass owner and any passengers traveling with him/her in a single non-commercial vehicle at per-vehicle fee areas or the Pass owner and three additional adults where per-person fees are charged. The Senior Pass may also offer a discount on some expanded amenity fees, such as camping. Discounts offered by the Pass vary widely across the many different types of recreation sites. Pass owners are encouraged to check with sites they plan to visit before obtaining a pass to verify that their Pass will be accepted. Anytime a Pass is used, photo identification may be requested to verify Pass ownership. The cost of obtaining a Senior Pass through the mail is twenty dollars ($20). Ten ($10) for the Senior Pass and ten ($10) for processing the application. Applicants must provide documentation of age and residency or citizenship. You can order through the mail by submitting a Paper Application to the USGS using the paper application and enclosing the same documents and $20 fee.